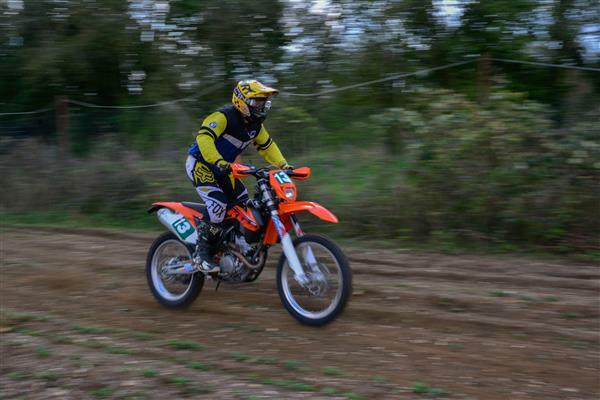 The 2017 Dave Barkshire Motorcycles Two Man Enduro Championship kicked off on April 9th with Round One, courtesy of the Sudbury MotorCycle Club, held at Strait’s Mill, Bocking. It was a scorcher of a day and the competition was pretty hot too! Many contests were close run with our own Alex Barkshire and partner Daniel Wright fourth in the Expert Class on 41.33 laps and Aaron Barkshire and Kyle Betts fifth in the Clubman Class on 39.67 laps. We look forward to watching their progress throughout this year’s competition. Well done to all class winners: the Roper Brothers in the Championship Class, Ben Grice and Kevin Palmer in the Expert Class and Paul and Daniel Hunt in the Clubman Class, which was a particularly tight battle decided by the Special Test Times. The 2017 Championship certainly looks like being a gripping one to follow! We’re now looking ahead to Round 2, which is due to take place on 30th April at Iken, Suffolk, organised by Woodbridge DMCC. Look forward to seeing you there! Got the Enduro bug? Head over to www.hitthedirt.net for information about our great Hit The Dirt practice track! The 2017 Enduro season is underway and our own Alex Barkshire is back in competition mode with high hopes. 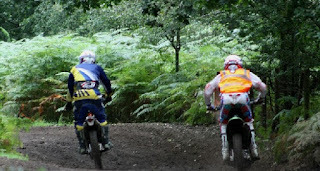 Followers of the Dave Barkshire 2-Man Enduro Championship will be pleased to know that it kicks off with round one on Sunday 9th of April at Straits Mill organised by Sudbury MCC. After a very exciting, closely fought championship last year, we’re looking forward to this year’s action! Looking to buy a used bike? You can now find our latest models at www.davebarkshire.net/used-bikes where our range including cruisers and sports motorcycles, as well as off road motorbikes and scooters. With big names such as KTM, Kawasaki, Peugeot and BMW and our assurance that our bikes have undergone rigorous checks to ensure their safety and reliability, you’re sure of great choice and a great bike! A newbie to motorcycle riding, or keen to up your riding capability? Then head over to www.davebarkshiremotorcycletraining.co.uk and read all the information that you need to enrol on one of our training courses. 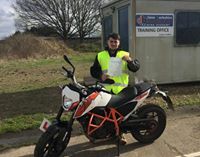 Join the likes of Julian and Jordan who recently passed their Mod 1 and Steve, John and Kyran who breezed through their Mod 2, in becoming competent motorcycle riders.